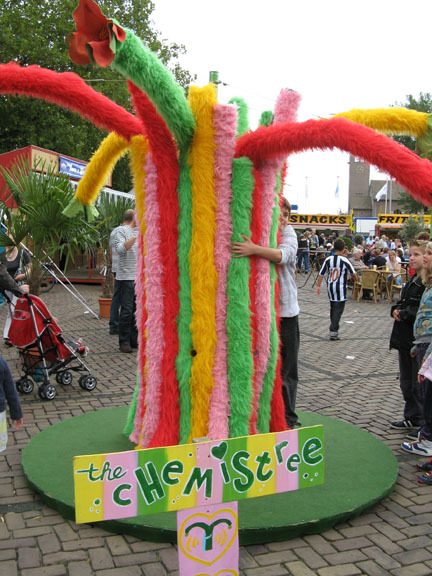 The Chemistree is an interactive installation we created in collaboration with Remco Bos, Jan Jonk and Tim Terpstra for the Dutch non-profit company Globalicious. The Chemistree plays sad music, but when it is hugged the music starts getting happier and the tree starts waving its branches around in a happy dance. It also starts opening its flowers. 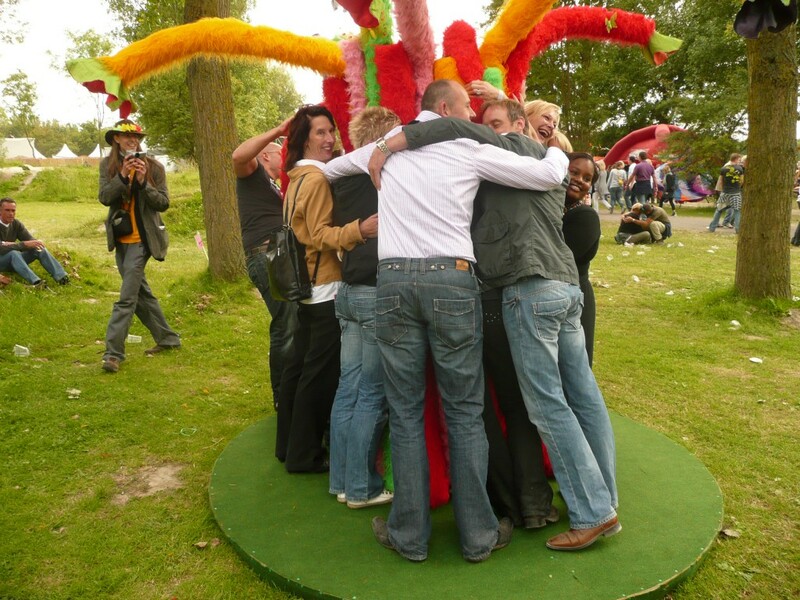 The more people hug it, the happier it gets. 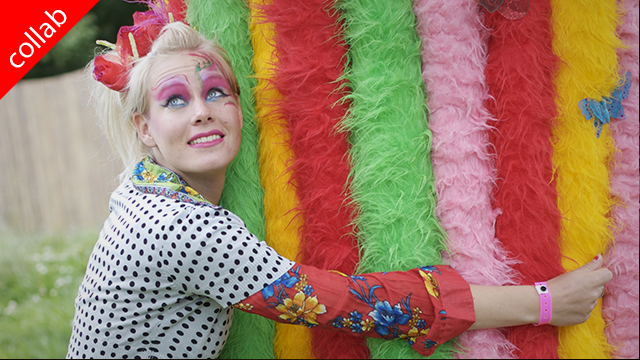 We presented it at two Dutch festivals, Indian Summer Festival and Butter Pieper Festival. At the Butter pieper festival there were a lot of parents with children, so the chemistree had a constant clump of happy, squealing children around it, which was a lot of fun to see.